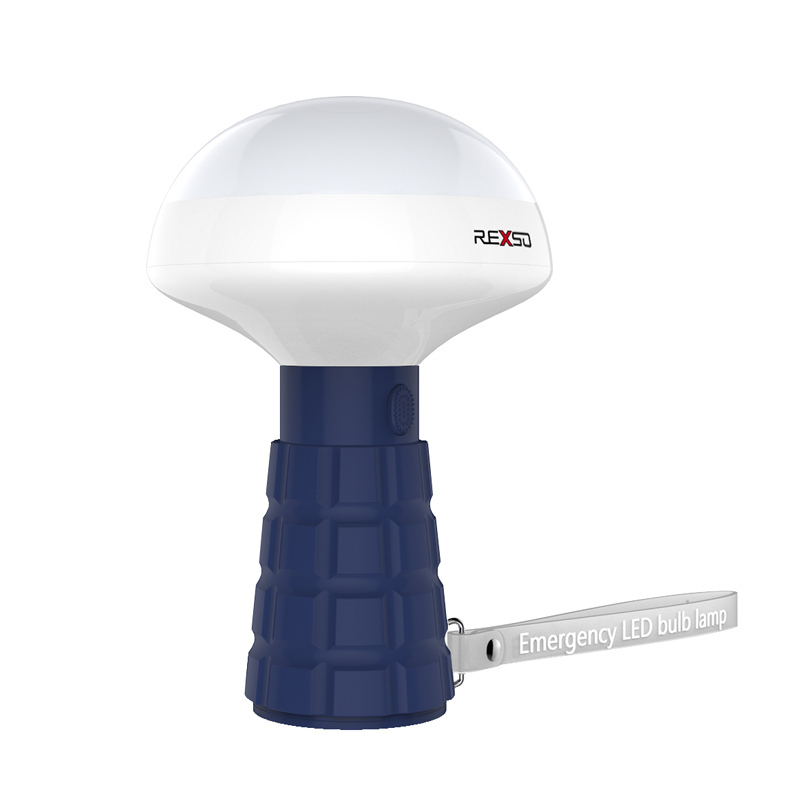 Successfully Added Rexso R1 LED Flashlight - 600 Lumen, 38 LEDs, Magnetic Base, 1800mAh Rechargeable Battery, Rubber Handle, Wrist Strap (Blue) to your Shopping Cart. 38 Bright 3528 SMD LEDs bring 600 lumens of light to your fingertips that will create a cool white light to illuminate the area around you. Superb for camping, as a night lamp or for emergencies this light-weigh and portable flashlight is the perfect additions to any home or vehicle. A built-in 1800mAh rechargeable battery brings plenty of usage time and can easily be recharged from a 5V power source. With its distinctive mushroom deign the light can stand firm as a lantern while casting its light across a large area. Alternatively, make use of the silicon strap or magnetic base which brings greater versatility to the uses of this powerful torch allowing it to be easily suspended as a lantern when travelling or camping. With its rubberized handle, there's no danger of dropping this torch and comfy to hold ad operate for young and old alike. With two lighting modes (bright white, flashing red) this hand-held lamp doubles as a warning light just in case of emergencies such as if your car breaks down at night or when you need to attract attention. The Rexso R1 flashlight comes with a 12 months warranty, brought to you by the leader in electronic devices as well as wholesale flashlights and LED lanterns..
Arabic: - فلاش LED الطوارئ الضوء - Chinese Simplified: - 紧急指示灯闪烁光 - Czech: - Nouzová LED Flash Light - Dutch: - Noodgevallen LED Flash Light - French: - D’urgence LED lampe-torche - German: - Notfall-LED-Blitzlicht - Hebrew: - חירום LED הבזק אור - Hindi: - इमरजेंसी एलईडी फ्लैश प्रकाश - Hungarian: - Sürgősségi LED villogó fény - Italian: - Emergenza LED Flash di luce - Japanese: - 緊急時の LED フラッシュ ライト - Korean: - 비상 LED 플래시 라이트 - Malay: - Kecemasan LED Flash Light - Norwegian Bokmål: - Emergency LED lommelykt - Romanian: - Urgenţă LED Flash de lumină - Russian: - Чрезвычайная светодиодный вспышки света - Spanish: - Emergencia LED Flash Light - Thai: - ไฟฉุกเฉิน LED ส่องสว่าง - Turkish: - Acil durum LED flaş ışığı - Vietnamese: - Đèn LED khẩn cấp Flash ánh sáng.